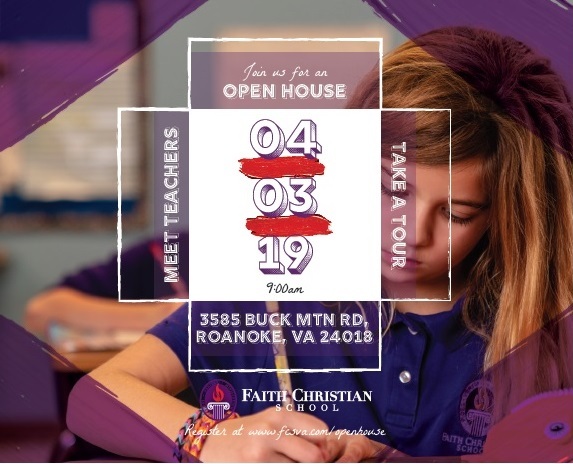 Our open house is designed to provide you with information so you are able to make this important decision about whether Faith is the best choice for your child's spiritual, intellectual, emotional, and physical growth and development. Take a student led tour and hear from our Head of School, Peter Baur. Tours begin at 9:00 am.